Lots to love in this house! 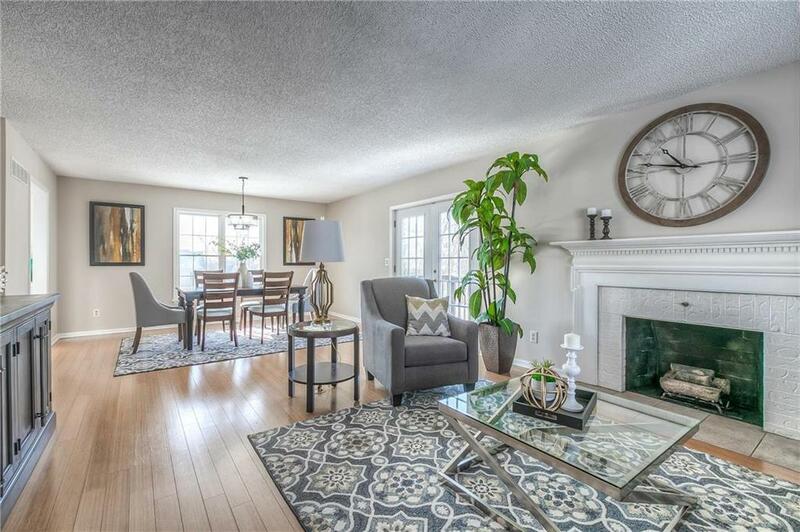 Spacious family room with hardwood floors and cozy fireplace leads to light-filled dining room. Kitchen with granite counter tops, new appliances and large pantry overlooks deck and generous backyard. 1st floor master suite w/double vanity. Upstairs, 3 big bedrooms off large common area perfect for playroom. Walk-out finished basement with 2nd living area, bedroom and full bath. Laundry on first floor. Space for mudroom off garage. New carpet, fresh paint, lots of storage. A must see! Directions: I-35 to HWY 291 to Glen Hendren Dr. Right on Nashua, right on Wildbriar Drive.